Millennials are quickly becoming a driving force in the healthcare workplace. With a medley of employees of different ages all working together, it’s important to keep everyone engaged especially millennials. Below are five tips for engaging millennials in your healthcare environment that can be implemented for success. One of the primary ways to engage millennials is by recognizing their accomplishments. In fact, this practice can also increase your staff retention and help you keep your most prized staff around for a lot longer. One of the tools that makes employee recognition much simpler is the implementation of a healthcare Intranet. An Intranet offers social tools and performs as a basic hub for information that is shared throughout your healthcare office. This makes it an excellent tool to use in order to highlight an employee’s accomplishments in the workplace and bestow kudos for a job well done. Highlighting your millennial staff member’s contributions is a very effective method for engaging your staff and ensuring that they feel valued. Working collaboratively in a healthcare office environment is another primary way to engage millennials in the workplace. Having a centralized location where news, updates, procedure changes, and new policies are shared and exchanged can increase productivity and task efficiency. Your millennial employee is likely eager to stay abreast of new changes and developments and an Intranet offers the ideal solution for this goal. By utilizing your healthcare Intranet portal in your day-to-day workflow, you can ensure that your millennial team remains engaged throughout the course of each day. Millennials are accustomed to communicating through technology and capitalizing on this fact couldn’t be simpler than by using your hospital Intranet portal. Using your hospital’s Intranet, your staff can stay updated on the latest blog posts and happenings at your facility. They can easily gain information quickly by doing custom searches for information or by visiting their respective department page. Other features like RSS feeds can push content right to the Intranet making it easier for them to stay abreast of latest industry or healthcare topics. 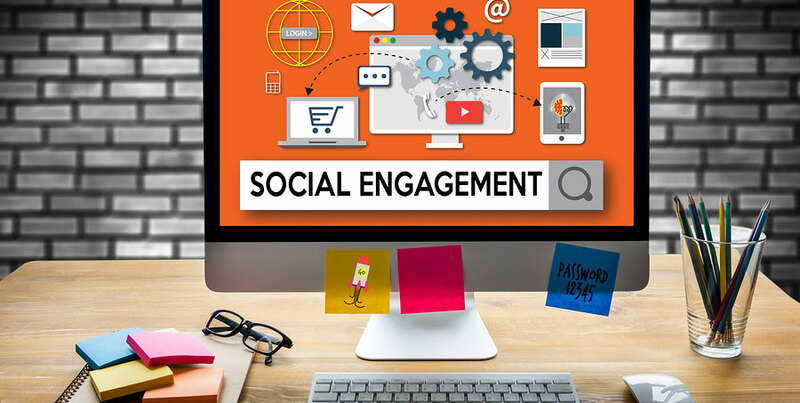 Other social tools like forums can allow for direct interactions and real-time communication much like the social platforms like Facebook that their accustomed to. Bookmarks, my favorites, and classifieds lists also make it easy for your millennial staff to stay in communication while increasing social engagement across the workplace. Allowing your millennial staff to make decisions within boundaries is an excellent way to keep them engaged and validated. Throughout the course of their tenure with your healthcare organization, it is essential to send the message that whether or not they are a recent graduate, you still value their feedback and deem them competent enough to make decisions that can improve the functionality of your workplace environment. With your Intranet, you can give your millennials a voice and a way to share their insights. Working collaboratively is one of the most effective ways to create a seamless and integrated healthcare office environment. At HospitalPORTAL we have provided all of the tools and resources needed to enhance collaboration in the healthcare working environment. Millennials and other staff alike can utilize these tools available through your hospital Intranet portal to collaborate in real time and remain engaged and involved in the important business or clinical processes. Consider HospitalPORTAL when you need to implement a healthcare Intranet platform that can engage millennials in your workplace. Explore our website to learn more today!